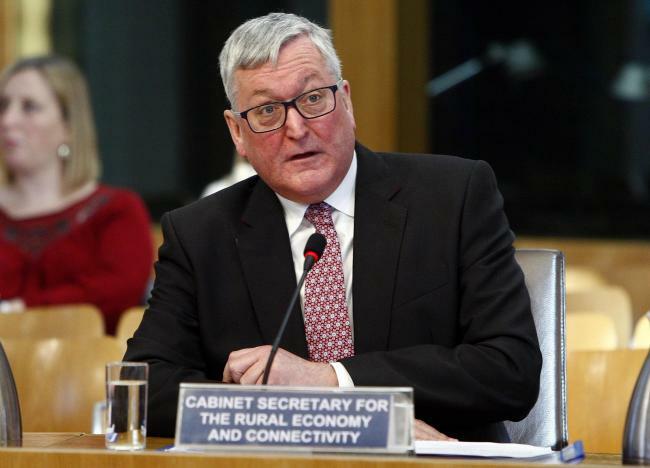 The Scottish Government’s plans for legislative reform of crofting were first outlined to the Cross-Party Group on Crofting on 28 March 2018 by Fergus Ewing MSP, Cabinet Secretary for the Rural Economy and Connectivity with responsibility for crofting. This government is determined not to allow crofting to be simply a relic of our past: crofting must have a purpose and a role in our present and our future. That purpose is to support people to remain on the land and to bring people back to the land, with crofting also playing a role in creating a sustainable and productive environment in which people can live and work. To achieve this, crofting needs an effective regulatory and statutory framework. Yet, most agree that current crofting legislation is complex and lacking in transparency, having been developed on a ‘piecemeal’ basis over nearly 150 years. We have recently completed a public consultation on what might usefully be changed through legislative reform. The consultation was launched last August, seeking views from stakeholders on (amongst other things) the Scottish Government’s Crofting Policy, the potential form that new crofting legislation could take, and priorities for legislative change. During the three month consultation period, my officials held a series of 21 meetings with the public and interested stakeholder groups, hearing directly from over 300 individuals across the crofting counties. The consultation closed in late November last year with 122 responses from individuals and organisations. The responses were independently analysed and a report on that analysis was published in mid-March. The results made for interesting reading and the diversity of responses only highlighted the scale of the challenge ahead. After careful consideration, there does not appear to be a consensus that would allow me to decide on specific pieces of legislative reform. I was also presented with a dilemma over deciding the best legislative approach to take, as the analysis highlighted almost equal proportions of support for new crofting legislation, versus making changes to existing legislation and restating or consolidating the law. Following the publication of the analysis report I met with the Cross-Party Group on Crofting to outline how I wish to take matters forward and to hear members and MSPs’ views. I am proposing a two-phase approach to legislative reform, with a first phase in the shorter term, leading to a Bill in this parliamentary session. This first phase will focus on delivering changes which carry widespread support, including across the Scottish Parliament, and result in practical everyday improvements to the lives of crofters and/or streamline procedures that crofters are required to follow. I am keen to fully involve and engage MSPs with crofting interests to ensure that their ideas and proposals can be considered and taken forward in legislation. The second phase is longer term work, where I have asked my officials to continue with fundamentally reviewing crofting legislation to provide a solution to some of the more complex and challenging issues facing crofting, and what that might mean for how legislation is developed in future. This work will begin now but will be for a future Parliament to deliver. I’m also keen to use non-legislative means to make changes that help to improve the sustainability of crofting, and encourage new entrants. These will include a National Development Plan for crofting, and a new entrant’s scheme that will directly benefit crofters without the need to wait for legislative change. It is also not just within crofting that I see opportunities to enhance provision – I am keen to encourage more woodland crofts through the National Forest Estate and to ensure that crofting communities benefit from our ambitions for a low carbon economy, and commitment to provide all homes and businesses with access to superfast broadband. The approach I am taking forward is pragmatic and focused on delivering a future for crofting in 21st Century Scotland My approach seeks to support people to make lives on the land, to diversify to create sustainable livelihoods, and to collaborate with neighbours and communities to find common solutions. That approach is as important to supporting crofting more generally as it is to reforming its statutory frameworks. The Crofting Commission look forward to working with Scottish Government and other Stakeholders to take forward crofting legislation reform. The practical approach outlined by the Cabinet Secretary will enable the necessary improvements of phase one to be made in this Parliamentary Session, with more complex issues being held over to a second phase. We are pleased that the Cabinet Secretary has announced a positive way forward for crofting law and restated his commitment to non-legislative changes also. He promised that we will have a bill in this parliamentary session which corrects the major anomalies in the current law and so enables it to work appropriately for crofters. This is the essential course of action needed and will pave the way to a consolidation bill in the next session. It is exactly what SCF hoped for. There will also be a fundamental review running in parallel which may enable more far-reaching changes to crofting law, whilst maintaining crofters’ rights, in the future. This is very good news for crofting. The Cabinet Secretary asked for input to the bill and the SCF are delighted to contribute. This seems an eminently sensible way for the Scottish Government to take legislative reform forward. They have recognised the complexities involved and that all that needs to be sorted probably can’t be easily sorted in just one parliamentary term. Thus splitting reform over two parliamentary terms should allow a comprehensive and considered approach to crofting reform unlike the rushed approach that led to the Crofting Reform (Scotland) Act 2010. That rushed approach created many of the problems requiring to be resolved today. This entry was posted in Crofting Reform and tagged Cabinet Secretary for the Rural Economy and Connectivity, Chair of Scottish Crofting Federation, Common Grazings, Consultation on the Future of Crofting Legislation, Convener of Crofting Commission, crofting, Crofting Commission, crofting law reform, crofting legislation, crofting policy, Crofting Reform (Scotland) Act 2010, Crofting Registration, crofting stakeholders, Cross-Party Group on Crofting, Fergus Ewing, Fergus Ewing MSP, National Development Plan for Crofting, National Forest Estate, new crofting entrants, New Entrants Scheme for Crofters, Rod Mackenzie, Russell Smith, Scottish Crofting Federation, Scottish Government, woodland crofts on April 13, 2018 by Brian Inkster.